Meet the Yeti Beti SB5c. Yeti has taken inspiration from their female tribe of followers and team riders, the Yeti's Betis, and have adapted their SB5c and ASRc specifically for women.Yeti's frames and size runs were already designed with women and smaller riders in mind, so you'll find the frame design unchanged for the line. What you will see different on the Yeti Beti bikes are the touch point components including handlebar width, smaller diameter grips, women's specific saddle and varied crank lengths, along with some eye-catching, custom designed colorways. Coral anyone? Yeti explain below in their press release where the inspiration came from to invite more women to the Yeti Beti fold via the Yeti Beti line of bikes. Why A Yeti Beti Line? Yeti has a long history of supporting women cyclists. Our race teams have included some of the best women in the sport— among them, Julie Furtado, Marla Streb, Tara Llanes, Jill Kintner, and Rosara Joseph. We have also been long time supporters of the Yeti Beti race team, which was instrumental in creating the Beti Bike Bash, the first women’s only mountain bike race in Colorado. This year, we became the title sponsor of the VIDA MTB Series, a women’s only skills clinic run by Yeti ambassadors Sarah Rawley and Elena Forchielli. Our introduction of the Yeti Beti line recognizes the important role women have played in our company. Colorado has a disproportionate amount of hard-charging mountain athletes. Head into the Colorado backcountry and you’ll find women skiing big lines in the winter and crushing epic rides in the summer. They’re drawn to Yeti for many of the same reasons men are -- performance, technology and our commitment to the mountain bike community. Yet, they approach the sport differently. With the help of the Yeti Betis and other women riders, we recognized an opportunity to deliver a community to our soon-to-be Yeti Beti riders. When you buy a Yeti Beti bike, you are granted access/membership to a group of women who live to ride. Want to try your first mountain bike race? The Yeti Betis are waiting to make your first competition a positive experience— they have a “never-ever” category catering to first time racers. 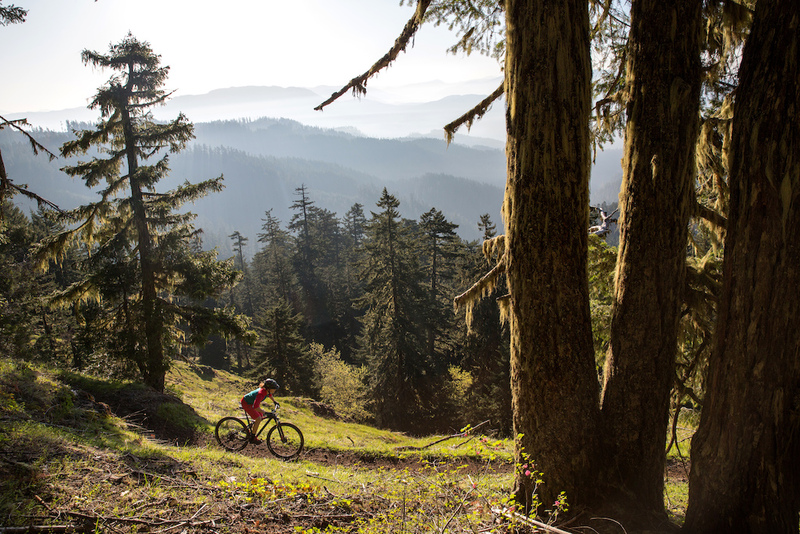 If you’re feeling more adventurous, you can try your hand at enduro racing with the Yeti Cycles Big Mountain Enduro. Want to brush up on your skills? Hook up with Sarah and Elena at a Yeti VIDA MTB Series clinic. If you just want to hang out with like-minded riders, we’d love to have you join us at the Yeti Tribe Gathering, a group of passionate Yeti riders that gets together once a year to ride epic trails, eat great food and share a drink or two. It’s a different approach, but distinctly Yeti. And the Yeti Beti ASRc. So, how about the product? What makes it unique? Women have always influenced our frame designs, particularly the smaller sizes. The Yeti Beti SB5c and Yeti Beti ASRc are derivatives of existing models, but embody our philosophy of making bikes to fit smaller riders. For example, our ARC and ASRc were built with different sized wheels to accommodate smaller riders (27.5” XS/S, 29” M/L/XL). Our SB5c and SB6c are both made in extra small and small sizes. It’s a substantial financial commitment to make the smaller sizes, but integral in accommodating women riders. 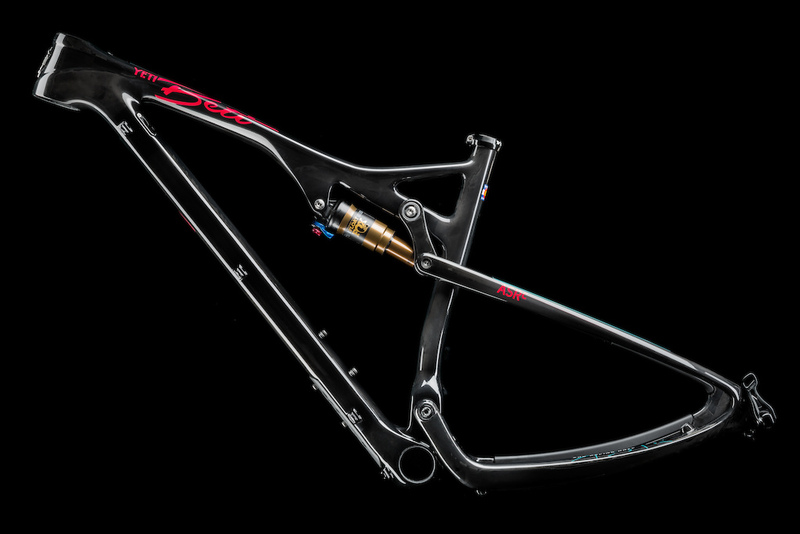 We also focus on maximizing stand-over height on our frames so it’s easier to get on and off the bike. With the help of the Yeti Betis, we identified several components that would improve the ride experience for women. All “touch-points” on the bike were an obvious place to start, so we chose a WTB Diva saddle, smaller diameter grips, and narrower handlebars (though, in the spectrum of handlebar widths, they are still relatively wide at 720mm). This provides greater comfort and control. We also changed crank lengths on the extra small, small and medium bikes from 175mm to 170mm. The benefit here is twofold: One, smaller cranks are easier to spin. Two, the smaller cranks give added clearance in technical sections. Less smashing the pedals on rocks. Colors / Graphics Women were integral in creating our women’s apparel line, so we took visual cues from the apparel and applied them to our Yeti Beti line. In particular, coral has been very well received and used generously in the Yeti Beti line. We also learned that many women preferred bikes that were gloss rather than matte finish because it looked cleaner. All the Yeti Beti bikes are a fresh shade of gloss. Why call it Yeti Beti? That’s a better question for the women who have been associated with our brand for over a decade. It wasn’t a bunch of dudes who came up with the name because it sounded cool. The first known use of “Yeti Betty” came from a Yeti freak in Keystone, CO. She was so attached to her bike that she referred to herself as a Yeti Betty. She'd encouraged her friends to join the Tribe and soon there were a slew of Betty's spreading the gospel. Shortly thereafter, Amy Thomas, who ran a team called the Betis, approached us seeking support for the team. Naturally, they became the Yeti Betis and have been flying the flag ever since. The Yeti Betis were instrumental in putting together our Yeti Beti line: they advised on colors, graphics, and component choices. They’re also, well... women. Turns out that’s pretty important. Why enter the market now? We recognize the women’s market has matured and many companies are offering women’s specific bikes (and have for years). Our approach isn’t to make a grand entrance into the women’s market. We’ve always been there. Our new Yeti Beti line is a nod to the women we’ve worked with for years and have helped us create our products and community. Our commitment is unique: best-in-class bikes, apparel, racing, and skills clinics. We’re not just about the bikes. We’re about the community. Why did Yeti choose to use an existing frame platform rather than build a women’s specific frame? We felt our current platform fits and performs very well for women. 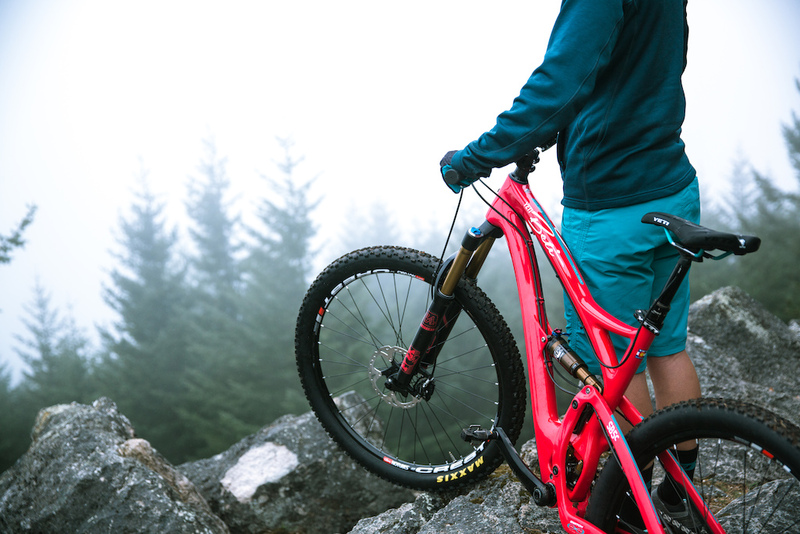 For example, our ASRc / Yeti Beti has 27.5” wheels on the extra small and small sizes and 29” wheels on medium and large. This was done, in large part, to accommodate women riders. We also offer extra small and small in the SB5c / Yeti Beti and since it’s already built with 27.5” wheels, it fits women very well. Our fundamental bike design remained unchanged on the Yeti Beti bikes. We know from experience core riders appreciate the performance and attention to detail regardless of gender. We sought to make meaningful adjustments like customizing crank lengths according to frame size and, perhaps most importantly, tuning the rear suspension for better performance. The rear shocks are valved for lighter riders – they have less rebound damping so the suspension doesn’t pack-up when the going gets rough. This results in a bike that is more efficient going uphill and more controlled when descending. Do we have a lot of women on staff? We have two women on staff. We’re a small company, but the ratio is still a little out of whack. We work so closely with an array of different women closely associated with Yeti that it really feels like they’re part of the family. We’re lucky enough to benefit from constant dialogue from all their different perspectives. Do you envision the Yeti Beti line growing in the future? We know that entering any new bike category takes time and commitment. We wouldn’t have taken this step if we weren’t committed to growing the line, but our underlying commitment will always be to the women’s community and creating products that resonate with them. We will continue to listen to their feedback and use it to shape bikes that suit their needs and deliver the best possible riding experience. How does the apparel line fit into the overall plan? The bike and apparel lines are very complementary. Performing your best on the trail depends on a variety of factors, and having high-quality equipment that fits women and functions well is essential. It goes without saying that there has been a void here, and we sought to address multiple aspects by having a coordinated apparel and bike line. There’s nothing wrong with looking good, too. In fact, when we started making women’s specific apparel three years ago, people told us we were crazy. Many had tried and failed. But our women riders encouraged us and were very helpful in helping us create the line. It was due to their input that our shorts were created and have become so popular. We also had a woman running the entire apparel program at that time, which was critical to the line’s success. You’ll see many color and branding similarities between the bikes and apparel. In fact, our SB5c / Yeti Beti is coral based on the huge response we got when we introduced the coral Norrie shorts. The Yeti Beti SB5c and ASRc will be available June 25, 2015. Question... If the ARSc came out as an e-bike.... Would it be called the ARSe? Beti's ARSe, I like it. It wouldn't be called an ARSe, it would be an ASRe. @dhmbtrider oh my god! you must be real fun at parties. Basically, making mean descending machines currently already available, but into more feminine styled and sized bikes! Its brilliant! 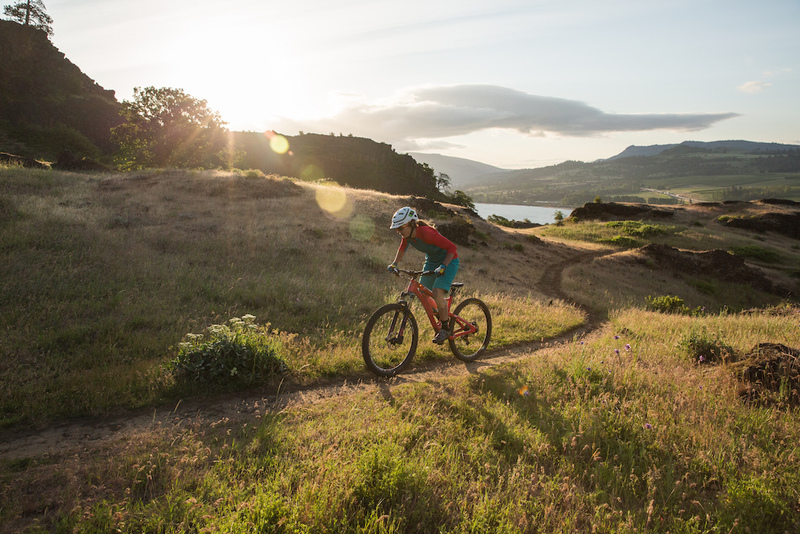 Get more girls into mountain biking! The sports all the better for it! Kudos to these bike manufacturers! That's a beautiful color going by that last photo! Stunning in that glossy red rouge! im interested to hear from women in terms of preference of aesthetics - does the data show they favor traditionally westernized feminine colors versus masculine colors or are more women buying regular bikes? i wouldnt define satisfying market demands as pandering but i do see your point. "...making mean descending machines currently already available, but into more feminine styled and sized bikes!" Both Beti and Juliana frames are no different to their Yeti or Santa Cruz counterparts, it says so in the article and you can check the geometry tables for SC/Juliana. Ahhhhhhhhhhhhhhh???... I don't get what your trying to say to me buddy? May have read a little too much into what you were saying there. 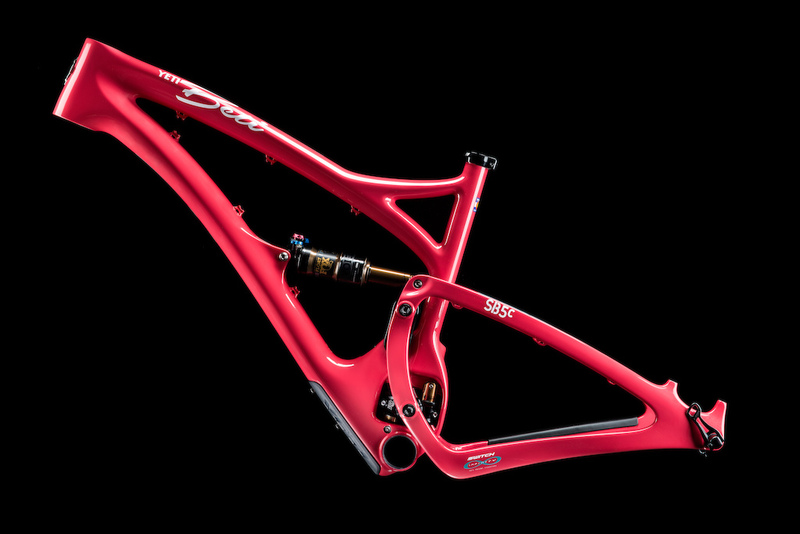 Yeti and Santacruz didn't invent this genre, They are following Mazda's marketing patent with the women's specific mx5. I know a few women who rip. I've never seen any of them wear pink on or off the bike, and I can't imagine they've been buying men's bikes all these years just because not enough pink ones were available. Fully agree. The only things my wife wants from a bike is lighter weight and a lower price point. How about some non-gendered gear in a good variety of sizes and colors!?! Pink it and shrink it. Way to mail it in. Agree. My wife loves her blacked out Tracer T275. Main difference for her is bar width because her shoulders aren't as wide as a dudes, she runs 750mm compared to my 780mm. Only riding clothes she has that are pink are her moto stuff and that's just to make sure dudes on the track know she's a girl and pass nicely. I'm not sure why this is getting downvoted. That's what they literally did. Pink (coral) paint. Narrower handle bars. Smaller grips. Shorter cranks. 170 mm cranks are easier to spin than 175??? Please tell me it's the marketing dude speaking and not Yeti's engineer! Probably easier to spin for women maybe? i really don't get all the faff with making women specific bikes, as most of what they change is all down to personal preference anyway, just vary crank length with frame size and don't ship with saddles or bars so buyers can pick what works for them, as most people would probably swap them out anyway, although the nice thing with women specific bikes is they usually have a better paint scheme. Even when they're not that different to the equivalent blokes bikes there's good reason to have different color schemes and branding. When people spend £5k on a bike it's not purely about it's functional capabilities, they also want it to look cool. coz you know about what they say about women's money. well you could say that as i considered getting an orange alpine just because they offered it in bright pink. It's so true, what gives with the colors? The red one is hot! Amazing work Yeti.. They look awesome ! Classy looking bikes. Well done Yeti! All this talk about pink.... Not sure where it's coming from. Those Yeti frames aren't pink, nor are the coresponding softgoods. Way closer to red then pink. Quite honestly it is hard to find a more aesthetically convulsive bike than Nomad in baby blue with pink text yet nobody seems to talk about it, everyone seems to have taken tokens into their mouths... are you going to Val Di Sole Dave? Please tell me that show isn't always that funny. I don't want to have to watch it. Put a collar+ air can on your monarch - it's 2015 baby, and is that a non-stealth dropper? Cables are rural, get your internal routing on, don't be such an exhibitionista btch! Better make sure your woman is a hard-core rider before buying her one of these. I suspect the resale value will be lower based on the limited market for these bikes. On that note, will someone order one, have their wife yell at them, then sell to me for 75% less? $6900 for the women's model? Pass me the crack pipe. At the Sedona Mountain Bike festival the women's clinic primarily involved creating colorful, sparkly name plates for the front of your bike, listening to men explain the technical details of suspension setup, then applying more glitter to your name plate. Is this the audience they're seeking? I like it, but I'm still waiting for a company to reach out to the Caitlyn Jenner's of the world. I would assume such a model line would have a lot of parts and geometry you could modify. More Pink Bikes on Pink Bike. I beti these will be a hit (as long as they are not pre-production ). Looks like a great bike. Terrible name though, how long did it take to think of that!? Do woman want to drive Porsche-lina or Ferrari-elle cars? ?, no, they want to drive Porsche and Ferrari. Then why, for the f###'s sake are they diluting the brand?, couldn't simply name it Yeti SB5c-W and call it a day??! !, without a marketing d##khead and his power charts! ooooh hows about some pretty tassles on the handlebars and pictures of little flowers on the frame.....girls love that stuff..... is what i imagine was said at the design concept meeting when they were first pitching this idea. Its nice that there thinking about it but maybe a better aproach would be to offer a stem,crank,saddle swapout at point of purchase to cover everyone rather than do this and painting it prety colours. Damn. That Bet ASRc looks nice. I'd buy it for myself! This bike is a beast in disguise, the CORAL color makes it hot and the bike ripps like no one business!! I'll try and make my mum get one of these. really? I mean, I'll try and make my mum buy this bike, but then I'll ride this bike.... I just cant see where the mum jokes are at. I think since it is a slang word we spell it the way we say it due to different accent? Haha, over here if you write "mum", it's like you're 3 years old. But it's all good! 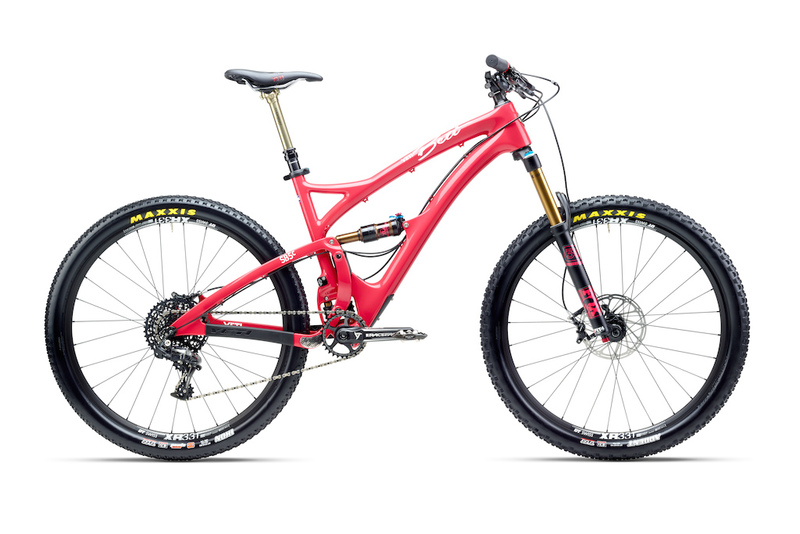 Yeti to women: Buy this bike because we made it just for you, and it has things you can't get on your own, like a narrow bar, a seat that says Diva, and shorter cranks. Yeti to men: Buy our other frame colors because the bike really isn't specifically made for women. I think you're over simplifying. Indeed, you can get all that stuff by itself- nobody is denying that. Yeti are simply offering another option, and if anyone doesn't like the colour or spec, they can always get black or turquoise. Sorry for oversimplifying. Great job Yeti. Also why should a more petite women spend 5K on a slightly too big of-a-bike (men's size) for herself and then also have pay out for all new smaller sized crank-sets and bars etc for a better fit? Its not like women are banned from buying the standard model bikes offered if the size, fit and color is more appropriate to them! You do know women make up 50% of the worlds population right? Some here might be reading into this the wrong way and thinking I hate options. I don't. I just think it is funny how strong the marketing is for women, when it really isn't that different. Most people in the price range of the super high end Yeti 5c might just build up their bikes from the bottom up anyway, which would negate the 'need' for a manufacturer to do it all. I think women specific is kinda dumb, and men's is kinda dumb. They should be labeled short torso or long, because some women have shorter legs, longer torso/ some men have shorter legs or longer, it isn't just men or women. For instance, one of my good friends asked for my help picking out a bike. She had a relatively low end bike, and wanted something new and awesome. She said she tried the Roubion, and loved it, so she 'knew' she needed a women's bike. I told her no, she didn't necessarily need a women's bike, because she actually rode a normal frame. I didn't want her options to be limited because of a thought that it had to be 'just for the girls'. I had a Bronson at that time, and told her that it was the same frame, with some different parts. She ended up buying a men's frame and loved it with different bars. My wife, with a relatively short torso, fits women's stuff better and has a very short stem and narrower bars, but doesn't like short cranks, because she feels it is tougher to get up some punchy climbs. Do you think Yeti really thought this was the best or do you think they didn't want to invest in new carbon molds just for a few geometry tweaks? I'm not saying they are better or worse than any other company, it is the same with Santa Cruz/Juliana. Notice that Liv/Giant's purpose built womens all-mountain bike is only an aluminum option? That's probably because it wasn't worth it to make the carbon molds. Specialized? The company that loves body geometry and all that jazz doesn't offer their 2015 women's crown jewel, the Rumor, in a carbon version. They tweaked the geometry for your average woman (bravo) but it isn't worth it to them to offer it in the highest end material (unfortunate). Seems like now it is either women's specific frame, or you get high end carbon and rad descending geometry, not necessarily both. And to SGTMASON, If we are being accurate, I believe women make up closer to 51% of the world's population, but they are a fraction of that in the mountain bike market. I hope that evens out, because the last thing I want to do is hang out with a sausage fest of friends all the time. "Do you think Yeti really thought this was the best or do you think they didn't want to invest in new carbon molds just for a few geometry tweaks?" Read the article again: The Beti frames are identical to the regular versions. No geometry tweaks whatsoever. 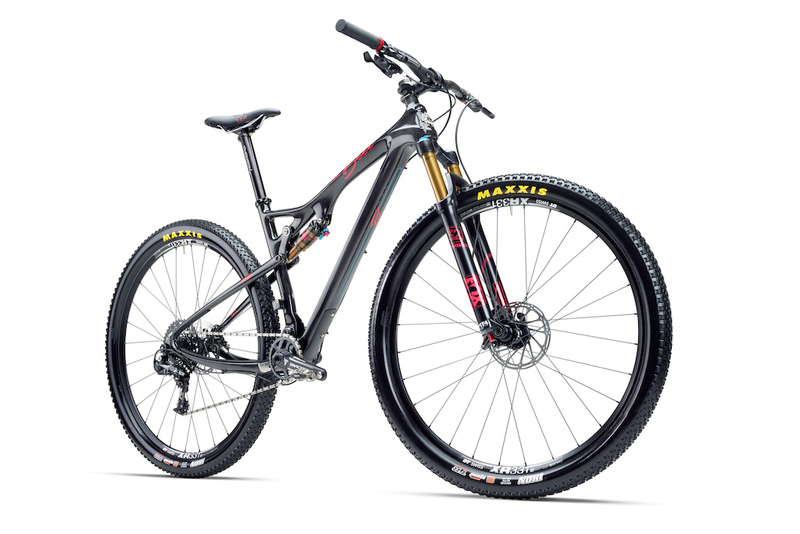 The only difference here is that they've put lighter valving on the suspension, and put on some shorter/narrower components to make it better suited to your average female mtb'er. People are really getting their knickers in a twist about this whole thing... Nobody is saying that women can't buy the regular models, or men can't buy the Beti version. It is simply another option. "Our SB5c and SB6c are both made in extra small and small sizes. It’s a substantial financial commitment to make the smaller sizes, but integral in accommodating women riders." Yes I did read it... did you? In any case, the regular SB5C and SB6Cs are already made in S and XS sizes, as are the rest of their bikes. Not just the Betis. What I'm saying is that these are not specially made womens bikes, nor are they a gimmick- they just provide an alternative. The list of riders is a list of who was who about a decade ago - other than jill kintner who hasn't been on yeti for ages. Maybe time to get some new names on the list yeti? "Yeti announces signing of Russ the Dog" - I think that regardless of your performance they'd get a lot of hits which translates to sales. Whaddya think? Haha you're probably right, especially if its a women's program and I'm not even a woman, which makes it even worse. Cool. So now that this is done can we get on with a replacement for the SB95? How many companies can "product launch" a new paint job? that color is amazing. I'd ride that! The Beti font is totally the Dirty Dancing font. I'd rather have the original teal blue frame anyday! why no integrated cable routing? oh my god... theyre not teal?!?! Action sports companies are seriously not done using the term "Betty" for women's products yet? It was lame a decade ago when it was all over snowboarding; still lame today. Beti is a Hindi word for daughter. It fits, and the bike looks rad. Go ride your bike. That eases my pain a bit. Thanks for info. I rode 15 miles yesterday, 7 after breakfast and 8 before dinner. Is that enough to comment on Pinkbike, or do I need to squeeze in a lunch ride? Didn't santa cruiz try this first? Wait, I thought the blue/pastel colorway option was for women? Another swing and another miss. I rode a Betty once... Never again. I don't think the colour choice could be more sexist. 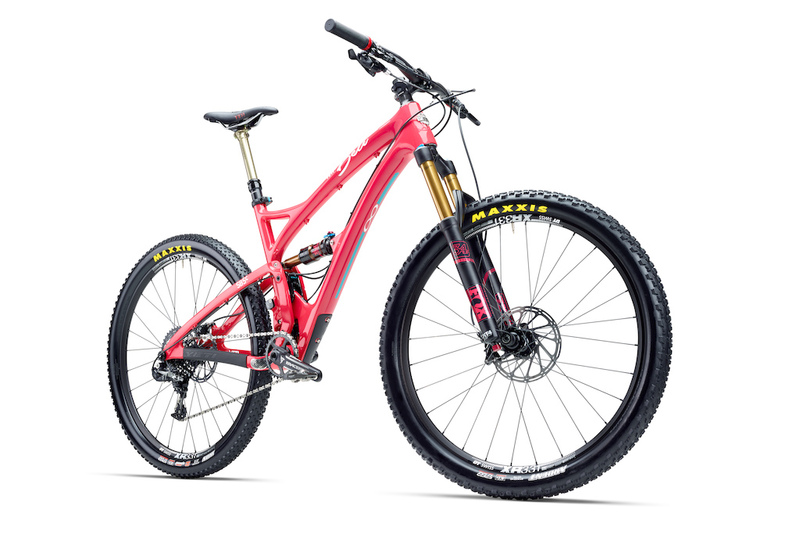 Saying that though, I think its great that Yeti is making women specific bikes and doing everything they can to support both genders in the sport. Don't know that it's sexist, tbh. Just another option. The frames are the same as the current 5 and ASR- just some tweaks to the spec. I nearly bought a blue bike once, but then I realised how sexist that was so I took my money elsewhere. Fyi The term bettys has already been used by a group of female sledders called the sled bettys. So basically a Juliana copy, from Yeti? so thin grips, a crank that is still too long for short people but most importantly they colour it pink and call them girls bikes - pretty condescending and sexist.